Cevanne wrote: Hi, is this offer still open or do you allready have all the iron you needed ? Cevanne wrote: If it is still open I would like to build my first big colony there and start digging up iron. Come join the party! Just a heads up, its not the easiest place to build a first colony, but a fun challenge for a second colony or with a steep learning curve for a first colony. Its also a big investment to build up a colony here, but you will earn it back over time when iron production is up and running. Welcome! This is where all the fun is! Let me know when you put up iron for sale and I will instruct my npcs to buy it. So far they are buying from 2 colonies. Hey Loke, I have iron for sale at Rust Belt. Think the NPC's did show up about three times, but they only bought 1 iron each time. Fatoldguy wrote: Hey Loke, I have iron for sale at Rust Belt. Think the NPC's did show up about three times, but they only bought 1 iron each time. You dont see if npcs have traded or not, you get no mail or other notifaction about that. I visited your colony and bought 1 iron each time to update the SM. The npc should visit your colony 10 times a day, but will only buy half of the amount that is for sale at a certain time each day (when server is checking). 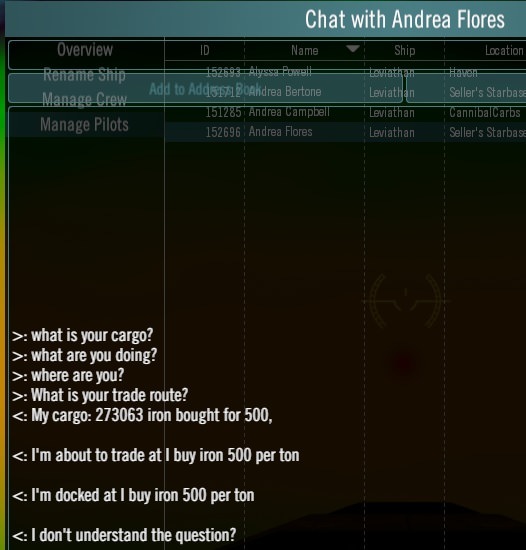 With your current production it needs to be between 2 and 3 million iron for sale before the npc starts trading efficent enough to keep up with your production, but when you haul it manually it will never be that much for sale. Could you try and leave the iron for a few days and see if it fills up or if npc moves it? Ive been away for 2-3 weeks and havent been able to check if its working as it should, but Ill check in the coming days. 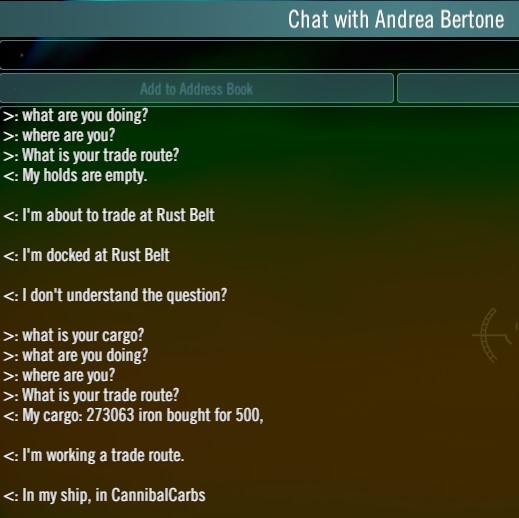 Also added another npc to trade with your colony, just in case the first one is lazy.